Posted on 15, November 2016 by EuropaWire PR Editors | This entry was posted in Awards, Germany, Italy, Media, Religion, Society and tagged Bambi award, Catholic Church, German media prize, His Holiness Pope Francis, Hubert Burda Media, Rome, Yusra Mardini. Bookmark the permalink. ROME, 15-Nov-2016 — /EuropaWire/ — On Thursday, 10 November 2016, His Holiness Pope Francis was presented with the Bambi award, a German media prize, in Rome. Every year, Hubert Burda Media presents the Bambi awards in recognition of outstanding achievements. 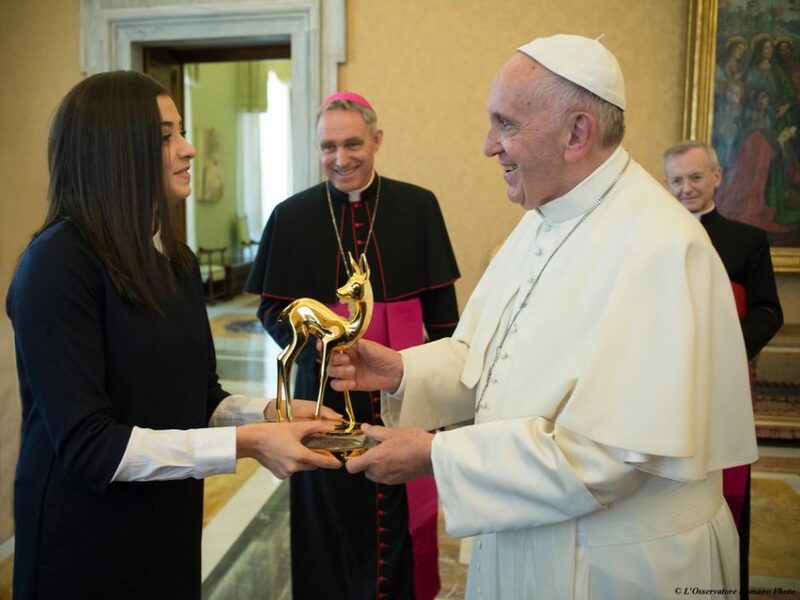 The presentation of the Bambi to the head of the Catholic Church will be shown on Thursday, 17 November during a live broadcast starting at 20:15 on the German public TV station ARD.